We take the complexity out of the buying process by placing you first! We understand that our role is to help meet your desired objective; i.e. what type of property you are looking for. Our secret weapon is our desire to listen and understand what your goal is! 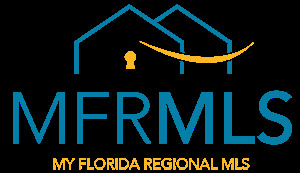 Most Florida Real Estate Agents are "Transaction Brokers". That means that they do not work for you. They work for their Brokers. They are held to a lower standard of service than we are. They try to "spin" this fact in many ways but the bottom line is that they are not legally obligated to behave in your best interest as we are. We are "Single Agents" which mean that we must behave in your best interest. We have a fiduciary responsibility to you. Isn't that the way it should be for all Florida Real Estate Agents? We are Single Agents because we elect to be. After all, our model is built on the premise that you deserve the best real estate experience possible! If your agent hasn’t had this conversation with you, they are NOT single agents. Again, we feel that you deserve the best service, focus, dedication, transparency, etc.....at all times...with no exceptions! We only work with a small number of great clients at a time, to ensure a personal touch. The first step in the process is the in-depth consultation interview (either in person or online) to ensure that we understand as best as possible what type of property you are looking for. This allows us to do a better job for you right from the beginning. If you elect to use a mortgage to purchase the property, we must work together to get pre-qualified. A mortgage pre-approval will be required in order to submit an offer. We will assist you in arranging all financing, appraisals and inspections, including the very important pre-approval that will be necessary to have, prior to any negotiations. At the end of our first meeting, we will go to the computer and enter your search criteria into the MLS database. A list of matching properties will be available for your review, immediately, so you can see for yourself exactly what is available. In addition, we use a specialized software program that is used mainly by the Top Agents in the nation; Market Snapshot. It is designed to keep buyers like you updated with the latest market conditions and changes. When our initial search is complete, we will save your criteria and set you up for instant email notification, as soon as new matching properties become available. This will allow you to beat the crowd, to some of the best buys in town. This is when the buying process gets really fun! We’ll go to open houses and schedule viewings from the listing alerts you loved. We will work hard until we find the perfect home. Would you rather review them first online, drive by or have me preview and select the top-quality choices? When are the best times for you to be available to see homes? What is the fastest and best ways for me to reach you? As part of the search process, we will review daily the “For Sale by Owners” (FSBO), expired listings, withdrawn listings & cancelled listings, to locate something that may not be available in the active MLS. If it’s out there, we will find it. Each morning, my team spends a minimum of 1-3 hours prospecting my database of past clients, leads, and sphere of influence, for potential matching properties that are not currently listed. We also call specific neighborhoods, where you want to live, to do the same. Also, we contact other top listing agents in the area to ask if they have any “pocket listings” homes to be prepared for sale, but not out yet on the open market. We broadcast your needs and wants at our office meetings, and preview property daily to view new inventory. We call you daily or as new matches occur. What is the best time of day to reach you? When you select properties you are interested in, we will schedule appointments to view them and obtain any important information you will need, in order to make a decision. A little scary, but very exciting! One of three things will happen when putting in an offer on a house: the offer is accepted, it’s rejected, or you get a counteroffer. We’ll walk you through each of those possibilities and how to handle them. Once the offer is accepted we'll move forward to the next step! Once you have chosen a property, we will prepare the purchase contract, package up any supporting documents, and arrange for it to be presented to the seller. Would you like to take home a copy of the purchase contract today, so that you can review it and circle any questions you may have? We handle the negotiation of the contract, with the seller and agent, and communicate the results to you. I also assist in the preparation of, or response to, any counter offers or additional addendums. Once your offer is accepted, we will begin processing the pending file and will be involved in supervising every step of the paperwork process. We continue to call you weekly throughout the pending process to keep you informed and answer any questions you may have. And, in return, you can always call me directly if any questions arise. Have you written down my cell number? The sellers accepted your offer, and your future home is going through appraisal and inspection. This is one of the last steps before you get the keys to your home! The inspection makes sure that everything in the home is functioning properly and there are no major issues inside. We take care of scheduling inspections and appraisals. Do you have an inspector you prefer to use? Do you plan to be present at the inspection? When we are ready to close, we arrange a final walk through and discuss any corrections that need to be made with the seller’s agent. Upon closing, we review final closing documents and schedule your appointment to sign all final paperwork. We will then deliver your keys and answer any final questions or concerns you may have. Once you have purchased, we will continue to follow up with you quarterly, by phone and mail, to keep you up to date with market trends and values. At times the buying process can seem daunting and even overwhelming. We simplify the process by explaining each step of the process before we begin that particular step. We address all of your questions so that you are comfortable before we begin that step! This is our promise to you. Do you have any questions about what we will do to find you a home? We are different and would enjoy the opportunity to show you how. Our secret: We combine the latest technology with plain old fashion hard work. What will the finish line look like?